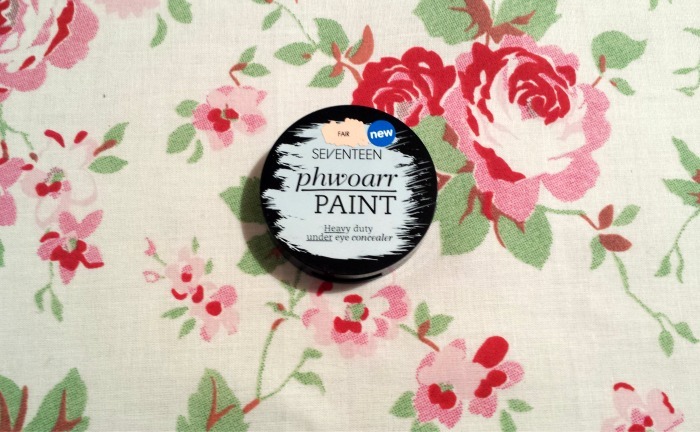 Seventeen is a brand I haven't really been familiar with since browsing the aisles of Boots as a young teenager (when it was actually called '17'), but since they rebranded last year and gave it a whole new look, I've started to see more and more of their products cropping up in the blog world, bringing with them some rather good reviews! I currently own their Skin Wow Liquid Highlighter (which I really like), and now of course their Phwoarr Paint Heavy Duty Under Eye Concealer. The packaging is quite cute, including a handy mirror for on the go! Often compared to: Benefit Erase Paste, Benefit Boi-ing & Bobbi Brown Creamy Concealer. 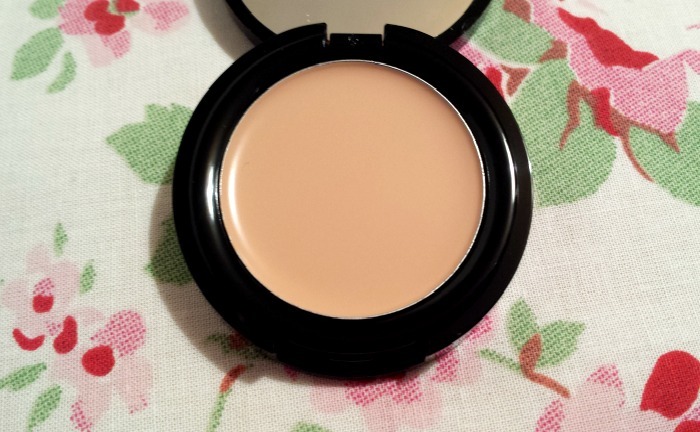 This product is a thick, creamy concealer, designed to cover up dark, under-eye circles. It comes in 2 shades; fair and medium. I think some people will have a problem with the shade range, as there isn't a shade that will suit the very fair or very tanned/dark skintones. My skintone is probably a medium, but I opted for fair, as I like my under eyes to be highlighted. Both shades are slightly orange, as orange is supposed to be good at counteracting any blue tones (those pesky dark circles). I don't suffer terribly with dark circles as such, but I wanted to give it a go for those days I look like a walking zombie due to George waking up 256 times in the night! For those days, I think this concealer works very well! It's thick, its fairly easy to work with (providing I warm it up in my fingers first so it doesn't drag the skin) and it definitely covers well. However, for the days I'm not looking for a camouflage, I prefer something a lot lighter, such as the Maybelline Dream Lumi Touch, or a similar liquid-based highlighting concealer. I found, that while this does cover any blue tones, if my skin is suffering, it can also cling to any dry patches and even settle into any lines and creases under my eye after the first hour, meaning I end up having to go back in and blend again. Given that it's actually aimed at teenagers, I can't really complain at that! Urgh - not getting any younger am I? WEEP! I know this is primarily for the under eye area, but I have used it on other problem areas such as blemishes and redness around my nose and it also works well so don't be put off by the name. Overall I think this is a great product, especially for the days when I need a little extra under-eye help and will be (well, it is) a big hit with a lot of people. However, if, like me you don't need something quite as thick, or if you have a delicate or particularly dry/oily under-eye area then this might not be for you.